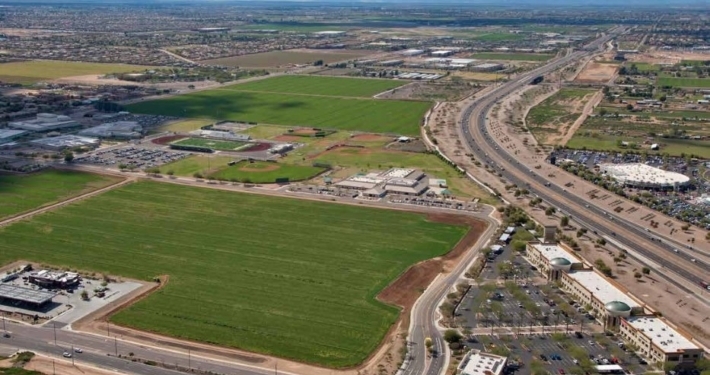 ViaWest Group purchased this 18-acre parcel in January of 2015 from a publicly-traded REIT disposing of a legacy development parcel from the prior cycle. The property is in a prime location right near the AZ-202 Freeway, with a regional hospital, major high school, an elementary school, and a major automobile dealership complex in close proximity. This location is one of a very limited number of prime corridors in the increasingly popular Southeast Valley. 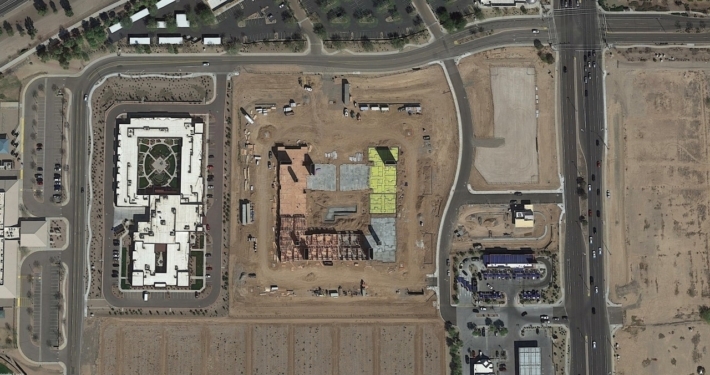 The prior owner originally conceived of developing office on the site, but we reimagined the land use plan to have more of a consumer-focused tenant composition, given the site’s unique go-home position on Val Vista, the mix of uses currently not served in the market, and the nearby demographics. 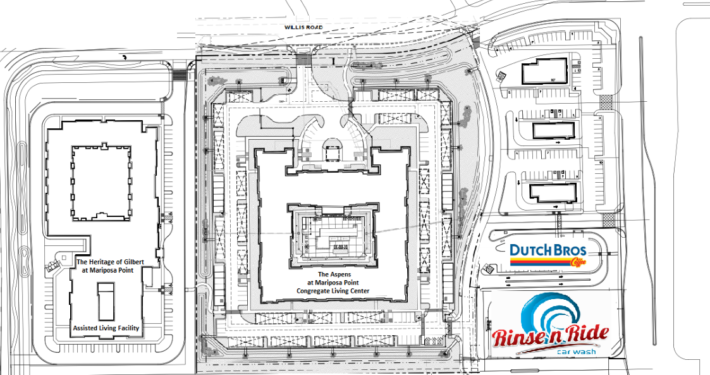 In the 4 years following the acquisition, we attracted two senior living facilities, a car wash, a drive-through coffee shop, and will likely finish the development with a couple of restaurants, making the site a true destination of consumer activity.